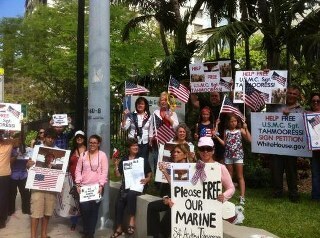 May 31st San Diego, CA., Free Marine Sgt. 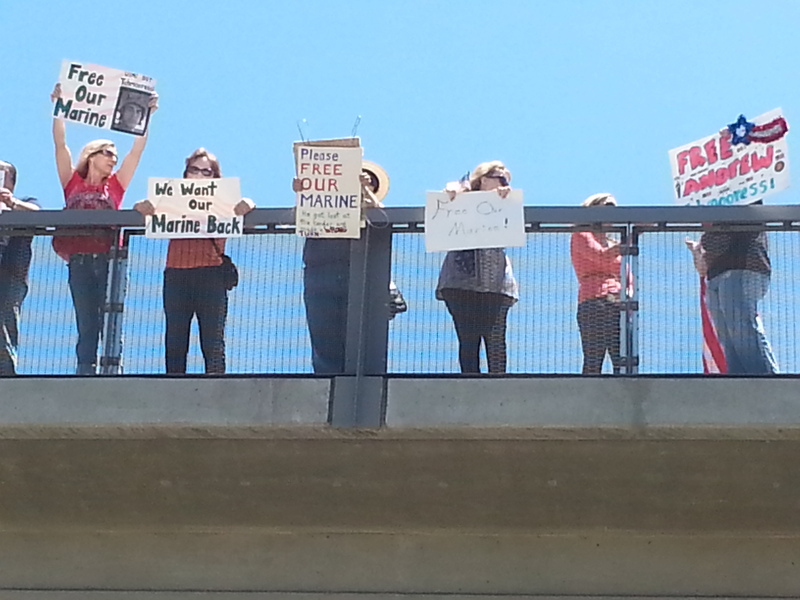 Andrew Tahmooressi rally at the US/Mexican border! 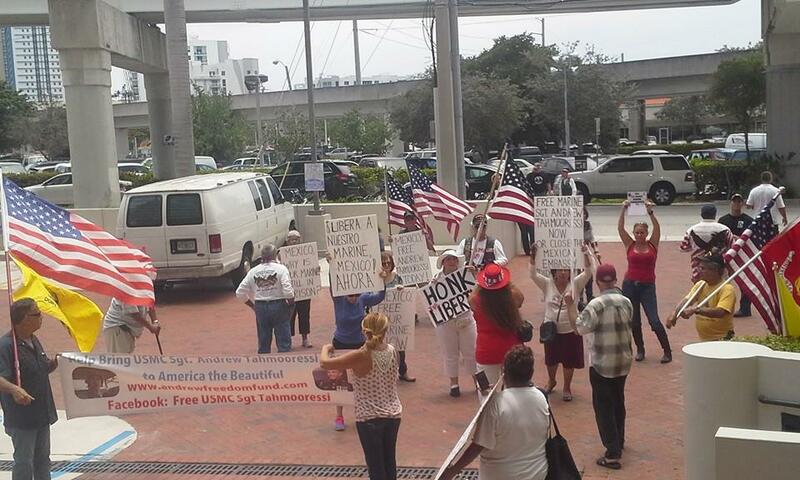 This was the third national “Free Tahmooressi” rally that we organized. Turnout was much better than the prior ones, and about 10 local & national media outlets covered the event. The Tahmooressi family attended rallies in Miami & Phoenix, and other rallies were held in Houston, Raleigh, NC., Sacramento, and in San Diego at the US/Mexican border. The day before the May 31st national rallies, Andrew’s mom’s White House petition made 100,000 signatures. 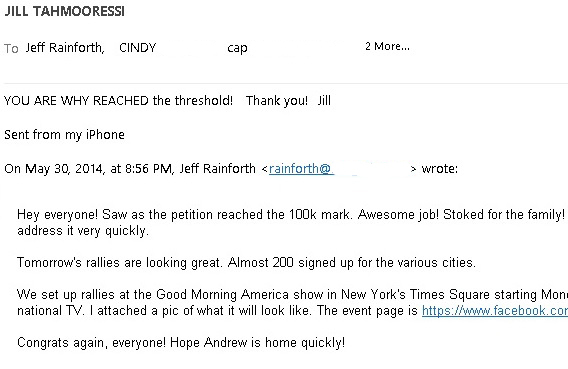 Andrew’s mother Jill sent a thank you to all who helped get it done. It’s been an honor helping her & the Tahmooressi family. 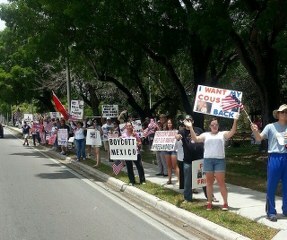 We’ll be organizing rallies until Andrew is home. We’ve organized a national day of prayer for June 22nd. You can join HERE. We’ll be organizing national rallies for July 4th, and more after that. The rally organization page on Facebook is HERE. We work closely with the family when organizing rallies. The Tahmooressi’s official Facebook page is HERE. 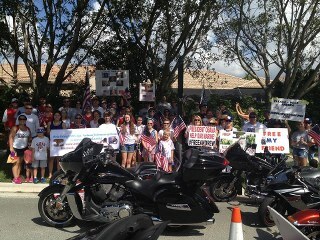 Thanks to all who continue to help bring Andrew home to his family. Let’s start using the same Immigration policy as Mexico. Let’s put all the illegals in Federal prison right after we beat them up.